In the Martin & Sylvia: Saturdays! story “Explorer Pig,” the children use their imaginations to capture their own stories about the Browns’ farm in a hand-drawn cartoon book. 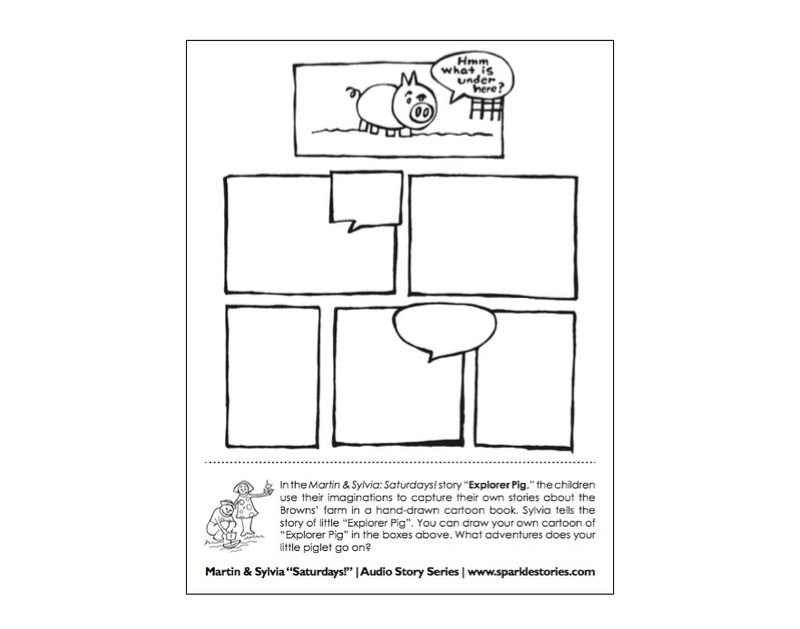 Sylvia tells the story of little “Explorer Pig”. You can draw your own cartoon of “Explorer Pig” in the boxes above. What adventures does your little piglet go on?